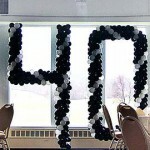 Obviously, 40th birthday. 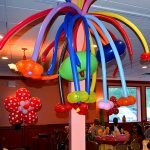 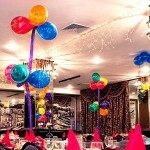 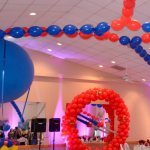 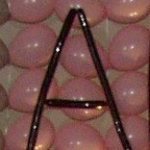 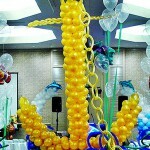 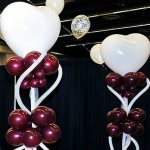 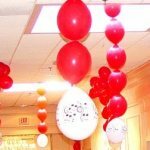 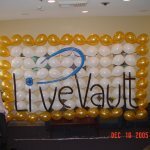 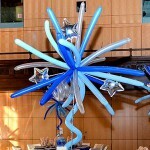 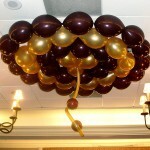 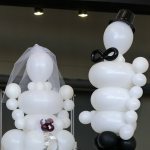 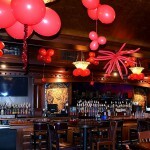 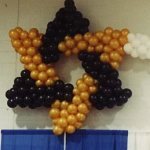 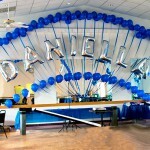 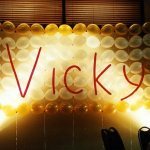 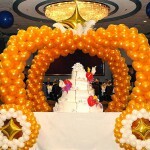 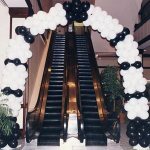 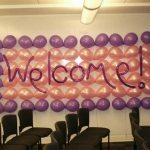 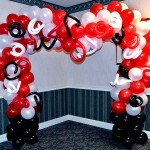 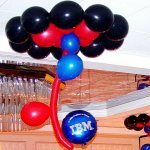 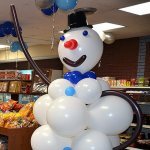 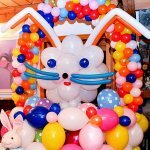 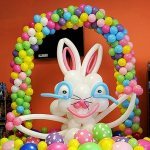 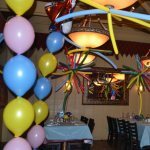 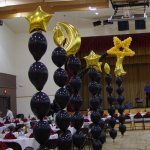 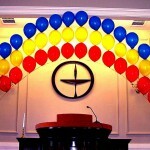 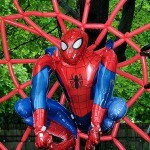 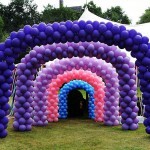 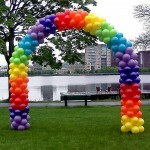 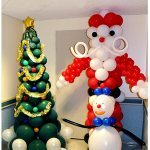 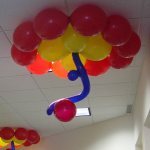 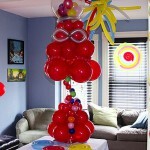 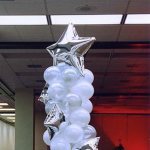 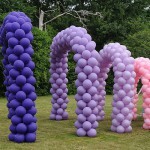 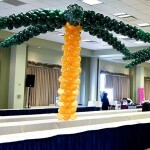 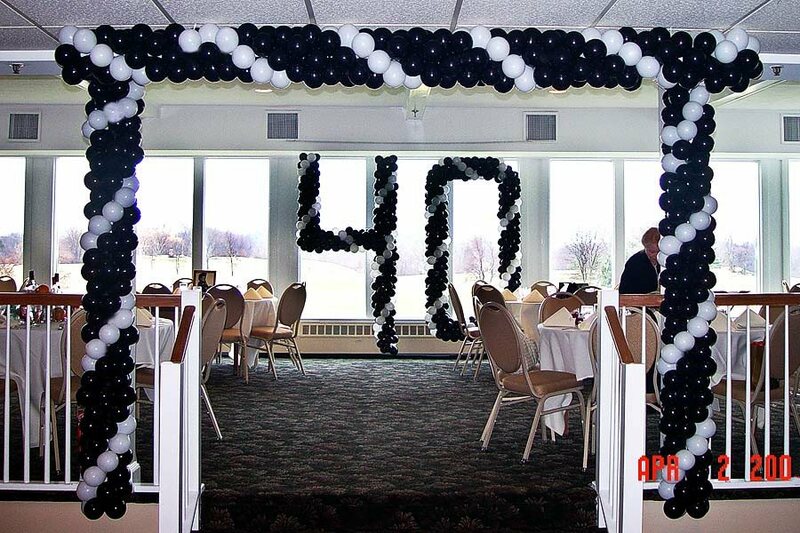 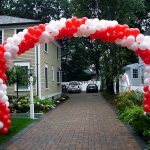 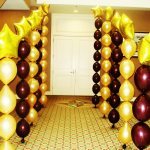 The interesting part of this party decoration is that ceiling is low and regular balloon sculpture of the 40 will look very bulky. 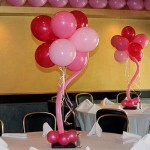 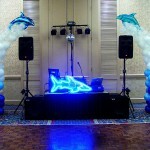 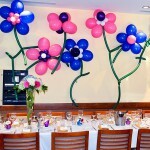 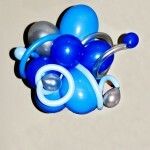 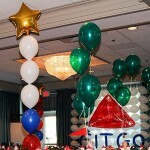 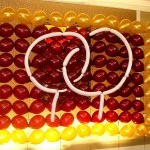 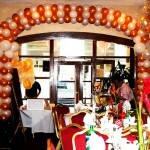 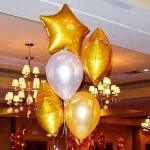 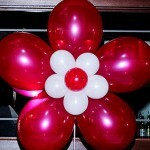 So we have used the small (5") balloons that make it look elegant. 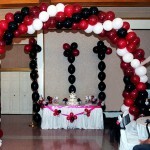 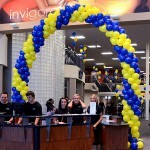 Same problem had to be solved with the balloon arch: there is no way one can use regular round arch under the ceiling, but rectangular looks good, and, what is even more important - pleases the customer!